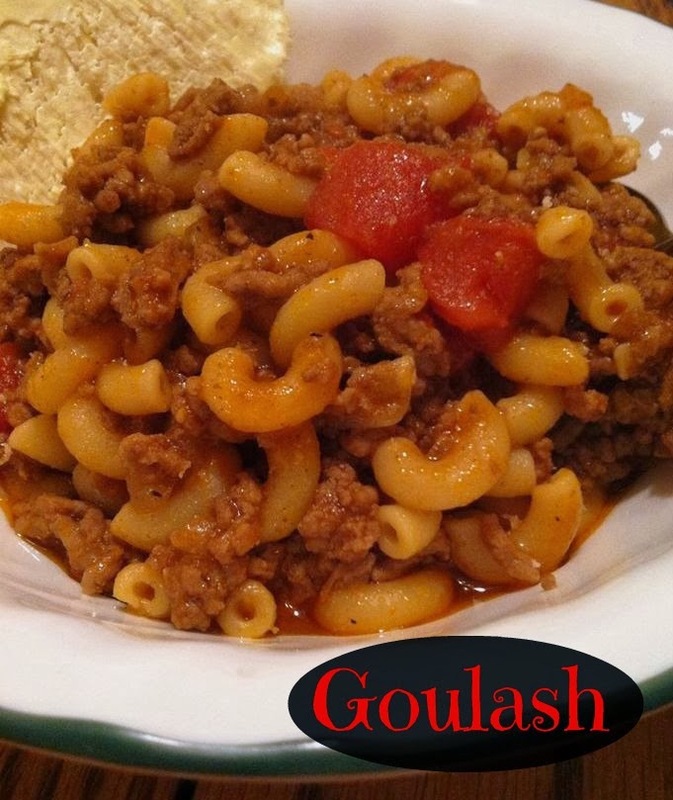 Goulash is one of those comfort foods that I love to eat when I'm having a "down" day. I have been craving more and more comfort food lately...probably due to my stress level, or something...and goulash was on my list of must-have one day a few weeks ago. I always tried to replicate my Grandma's goulash, and of course it is one those recipes she didn't have a recipe for...she just made it and it was perfect each and every time. So I have been trying for a few years to get it right. This last time I think I hit a winning combination for good flavor and still remind me of my Grandma's from so many years ago. I always like to eat my goulash with bread and butter. It is one of the few times that I will just a slice of bread with some delicious butter spread over it. Really, I do. And I probably eat too much bread, considering there is pasta in this...oops. Add the onion and garlic and continue cooking until onions are clear. Stir in the diced tomatoes, tomato sauce, salt, pepper and oregano. Add in the uncooked macaroni noodles, cover again and let continue to simmer for 20 minutes. If noodles aren't getting tender, add 1/4 cup water as needed to finish cooking the noodles.